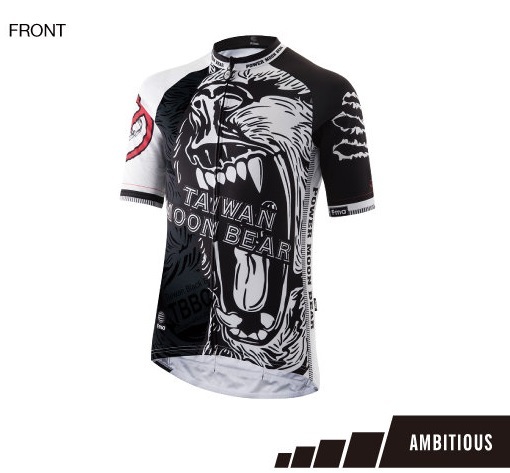 TheFMA Taiwan Moon Bear - AMBITIOUS is one of the most popular Moon Bear Jersey series launched in 2018. The FMA Taiwan Moon Bear 2018 - AMBITIOUS is specially designed for the endangered species, Taiwan black bears. In addition, the 1st Gen, Moon Bear Jersey was launched in 2015 by FMA to make more and more people become aware of the extinction of Taiwan black bears.